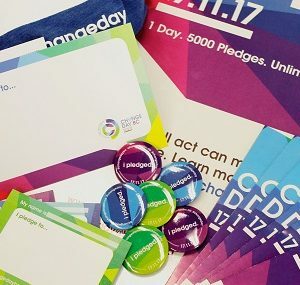 Change Day is a global movement that was started in 2013 by the National Health Service (NHS) in England, which invites any person involved in health or social care to make a pledge and change one small thing to improve care. Pledges can encompass anything, from the small (learning each patient’s name) to the large (connecting 250 members of an organization in a randomized coffee trial). The message behind Change Day is that any individual can make an impact, and that small efforts add up to huge impacts on quality of care. Countries all over the world have since launched their own Change Days, spreading the energy and excitement to improve care globally. On November 17, 2017, we held the second Change Day BC. 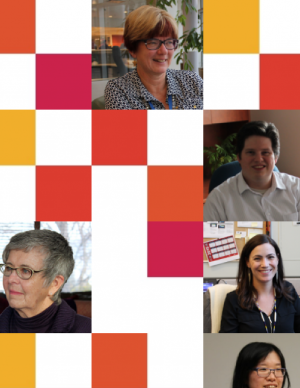 This time, Alberta and Ontario joined in and held their own concurrent Change Day campaigns. More than 18,000 pledges were made across Canada, and over 7,110 in BC alone, from every corner of the province, and every area of care. 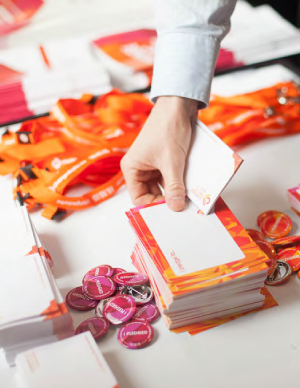 Our final report summarizes what we learned about harnessing the power of distributed leadership, making campaigns fun and aligning Change Day with people’s values. Throughout the campaign we celebrated weekly themes and hosted mini-campaigns to encourage some friendly competition and excitement. Interested in learning more? We created a number of resources to help spread the word about Change Day BC. 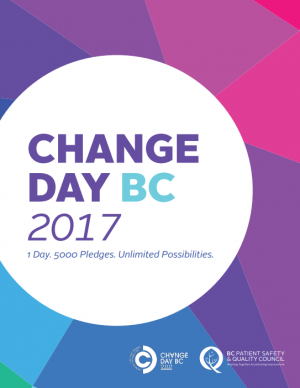 The first Change Day in BC happened on October 15, 2015, and inspired thousands of pledges – over 7,800, in fact. The actions and initiatives sparked by Change Day were amazing. Read below to learn more about it. 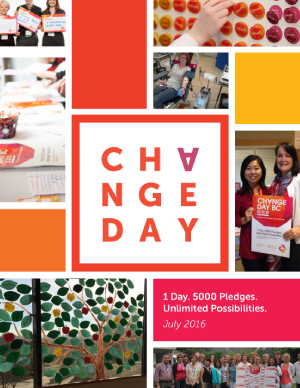 In our report on Change Day BC 2015, we celebrated the individuals across the province who made this campaign so successful, and the 7,877 pledges that were made to improve health care. 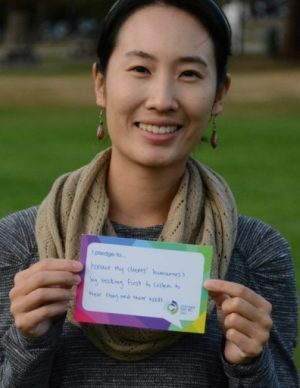 We followed up with a number of Change Day 2015 participants across BC to ask them about the impact of their pledges. There were so many incredible stories from Change Day from every corner of BC. We captured just a few of them in these short, inspiring videos.